A complete facial treatment customized for your unique skin type. Gentle exfoliation, steam, and treatment mask along with light face, neck and shoulder massage. Great for guys, too! A completely customized facial designed to address signs of aging, extreme dryness, or inflamed skin. The Signature Facial features the BT Micro, a patented device that uses microcurrent and ultrasound to infuse customized masks and serums deeply into the skin. Massage of face, neck, and shoulders, eye and lip mask complete this intensive treatment. Concentrating on the benefits of deep cleansing and exfoliation, this facial treatment will unclog pores and smooth texture, resulting in ultra clean, glowing skin. Full extraction work included. Ideal for teens or anyone experiencing acne or congested pores. A luxurious and relaxing facial for all skin types. This treatment infuses oxygen, plant derived stem cells, peptides and a high concentration of enzymatic botanicals into the skin, leaving it luminous, hydrated, refreshed and rejuvenated. This facial includes cleansing, an enzymatic peel, the O2 Oxygenating facial masque, a stem cell enhancing serum, moisturizer and SPF. After just one treatment, you will know why Vitamin C is a must have Anti-Aging ingredient. This rejuvenating treatment lightens, brightens and tightens while soothing botanicals reduce redness and add vital hydration. Fine lines and wrinkles are plumped and smoothed for an instant transformation. Revolutionary, plant derived-stem cell technology, potent peptides and a natural marine tightening complex dramatically reduce the signs of aging without irritation. Smoothes skin, hydrates and leaves you feeling radiant. Maximum results with no downtime or discomfort. Add an InfraRed treatment to your whole body or targeted areas. Far InfraRed mat will reduce pain and stiffness in joints and muscles, improve your motor functions, stimulate weight loss, detoxifies your body, boost your immune system, improve blood circulation. 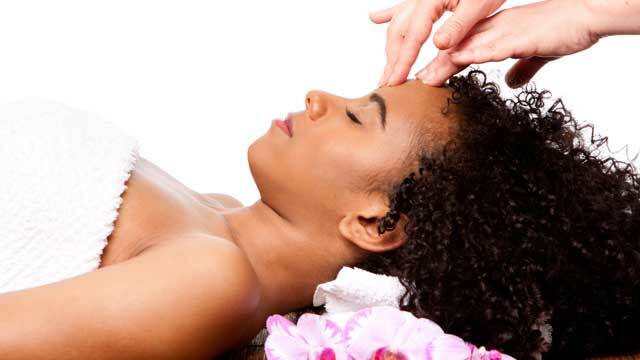 Add an Eye or Hand treatment on to any Facial service for $22. To make the most of your visit, please arrive 20 minutes early. Keep in mind that your spa session will end as scheduled, to avoid delaying the next client. We require 24 hours notice for cancellation. *$5 off per service is not valid with Spafinder, SpaWish, Spa Week, or for Double Delight and Pamper Party Packages. Change cannot be given for gift cards. Gift cards cannot be used for tips. Advance reservations appreciated. Group appointments and last minute bookings welcome. We require 24 hours notice for cancellation. Best Massage and Spa Experience in South Lake Tahoe!